Manchester City vs Tottenham Hotspur is always a tasty clash to watch for both sets of fans, and seeing as both teams still have much to play for this season, we could see a game that has the potential to be one of the games of the season. Both teams rely on their attacking abilities and regardless of the current form of both teams, we can definitely expect to see a few goals. It could of course end up being a boring 0-0 draw, but with the mood, Tottenham are currently in, and the fact that Manchester City will need to come up with something to put their 4-0 Premier league defeat to Everton firmly in the back of their minds, it’s looking very unlikely. Have a look below at some of the things we can expect to see in this game. Premier league is special league where everyone can beat anyone, we all know it, but to sum up things for a derby game between Manchester City and Tottenham Hotspur, we focused on 5 key things which could decide this game. The key to either teams’ success in this match will depend on who wins the midfield battle that will take place straight from the first whistle. Both sides have game winning players in this respect, and they will both need to take advantage of space in midfield to bring their quality strikers into play to ensure they have a chance of winning the game. This is a game that is filled with players consisting of world class abilities, and if both teams play well it could be a game that is filled with goals. Manchester City hit a blank last weekend against a good Everton side, but there is no reason why they can’t score a couple of goals if Sergio Aguero feels alive. Sergio Aguero didn’t do a lot against Everton last week, and neither did the likes of Kevin De Bryne or Yaya Toure, but these are of course still quality players that could prove to be key to Manchester City’s battle in the middle of the park against an in-form Spurs side. If Manchester City have any chance of winning this game though, they will need to make sure they keep an in-form Harry Kane quiet, who hit a Hat-trick against West Bromwich last weekend. Dele Alli has also been in the form of his life for Tottenham, and he is another player that will need to be kept quiet to gain some order on the pitch. 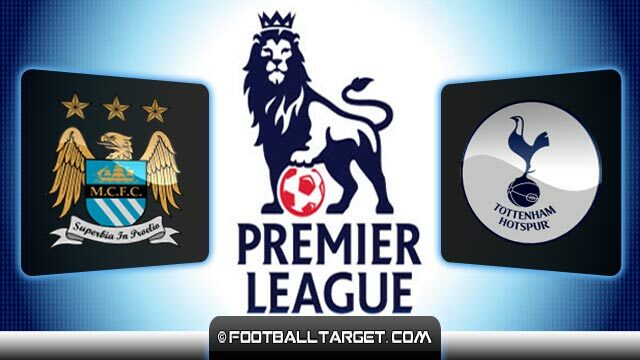 Manchester City will need to be at their best at home against Tottenham come Saturday and if they are not, Tottenham could take their 6 game winning streak to 7 and continue to march on to compete for the title with Chelsea. This is a game where we are going to watch two tactical geniuses at work. Pep Guardiola hasn’t yet shown his experience and attacking tactics, but as Manchester City are still looking to gel under their new manager, we could easily see some of his genius tactics in a game he needs them the most. Mauricio Pochettino is currently one of the best managers around, and he has managed to beat the likes of Antonio Conte already this season, and he could do it again against a team that isn’t performing under a top manager. What Do the Bookmakers Think? The bookmakers always have their own opinions on games like these, and if you are looking to have a punt on this game come the weekend, you may want to check out bookmaker reviews to see what the best available odds are. It’s a game that could go either way, but if you were to bet on the in-form team to take away the 3 points, it would have to be Tottenham. Of course, Manchester City have game winning players and if they can come up with a good performance against Tottenham, there is no reason why they can’t win the game.